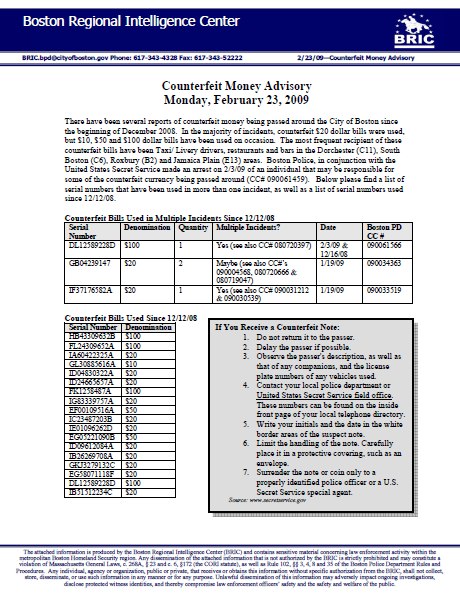 There have been several reports of counterfeit money being passed around the City of Boston since the beginning of December 2008. In the majority of incidents, counterfeit $20 dollar bills were used, but $10, $50 and $100 dollar bills have been used on occasion. 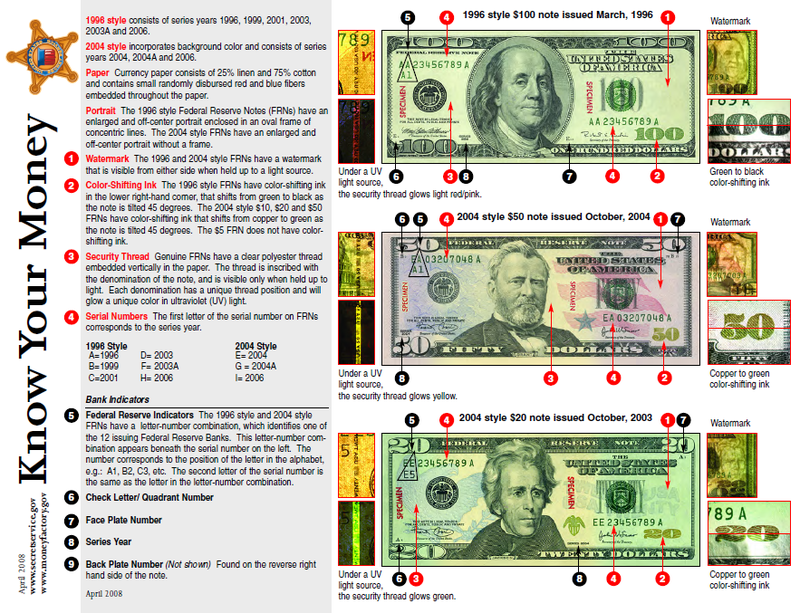 The most frequent recipient of these counterfeit bills have been Taxi/ Livery drivers, restaurants and bars in the Dorchester (C11), South Boston (C6), Roxbury (B2) and Jamaica Plain (E13) areas. Boston Police, in conjunction with the United States Secret Service made an arrest on 2/3/09 of an individual that may be responsible for some of the counterfeit currency being passed around (CC# 090061459). Below please find a list of serial numbers that have been used in more than one incident, as well as a list of serial numbers used since 12/12/08.